The world's most popular Windows Phone smartphone is about to get a successor. Meet the Lumia 530 and its first public appearance in a photo. The phone was spotted in a Windows Phone buying guide showing the available devices running Windows Phone 8.1. No confirmed Lumia 530 specifications are available at this time, but we can make some educated guesses based on the image above. 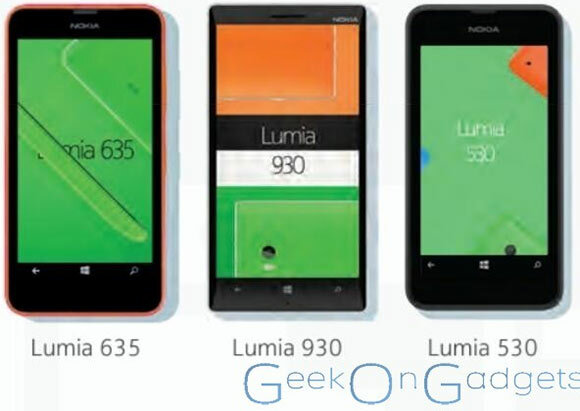 Judging by the size difference to the Lumia 635, the Lumia 530 will sport a 4.3" display. That's a slight bump from the 4.0" (800 x 480 pixels) display of the Lumia 520. There are also no front-facing camera nor physical navigation buttons, as Windows Phone 8.1 allows the use of virtual on-screen keys. Finally, it's interesting to note that the Nokia logo is present on the phone. Microsoft bought Nokia Devices & Services for €5.44 billion but it wasn't clear if the company is going to keep using the Nokia brand in its upcoming products. We guess for the Lumia 530 at least, things are going to remain the same.